Synesthesia is a neurologically-based condition in which a person experiences a crossed response to different stimuli such as sight and sound. Synesthetes can hear colors, feel sounds and taste shapes. It is estimated that 4 percent of the population can perceive the world with this blending of senses. Many synesthetes are empaths (although not all empaths are synesthetes). Empaths are highly sensitive people who absorb the stresses and emotions of others into their bodies. 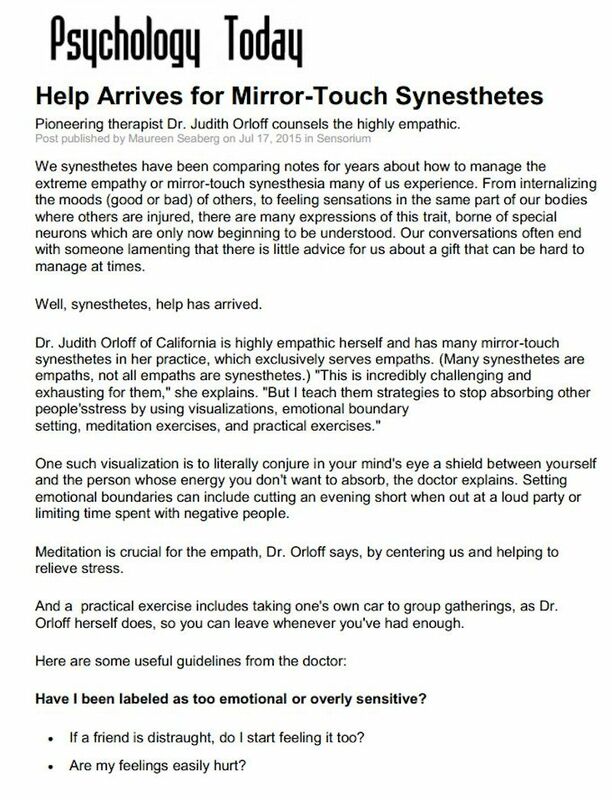 Coupling mirror-touch synesthesia with the extreme empathy that empaths have can be frustrating for those that experience it. 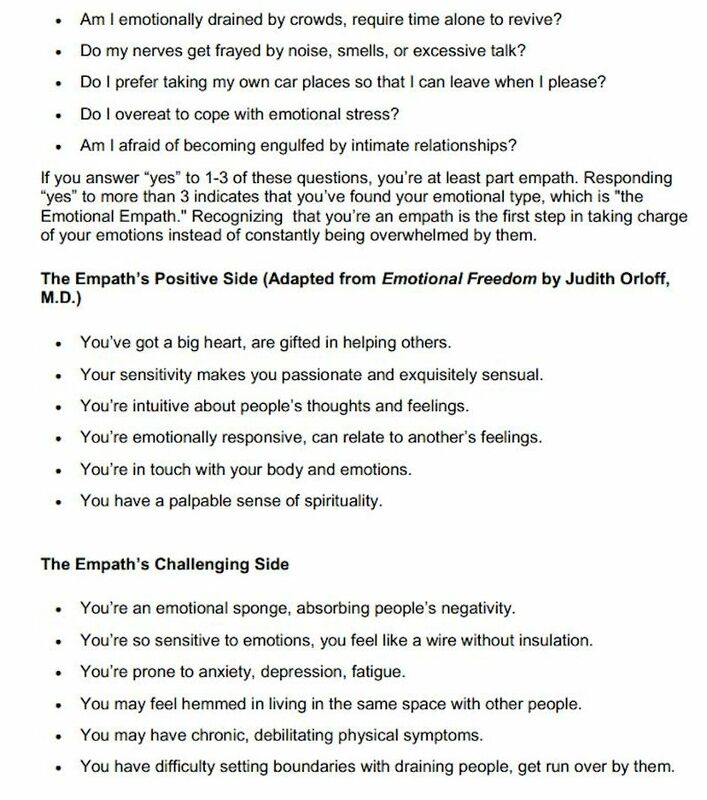 In this Psychology Today article, I share questions to help you determine if you are an empath and then offer tips to manage the positive and challenging aspects of this heightened sensitivity. 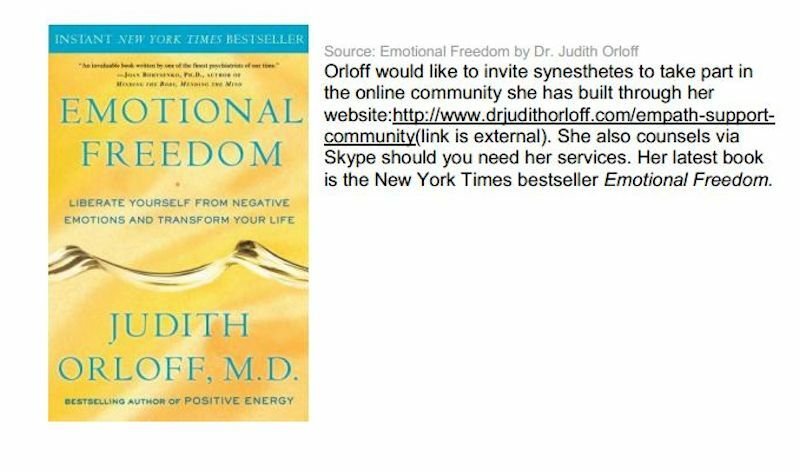 Read the full article on Psychology Today here.